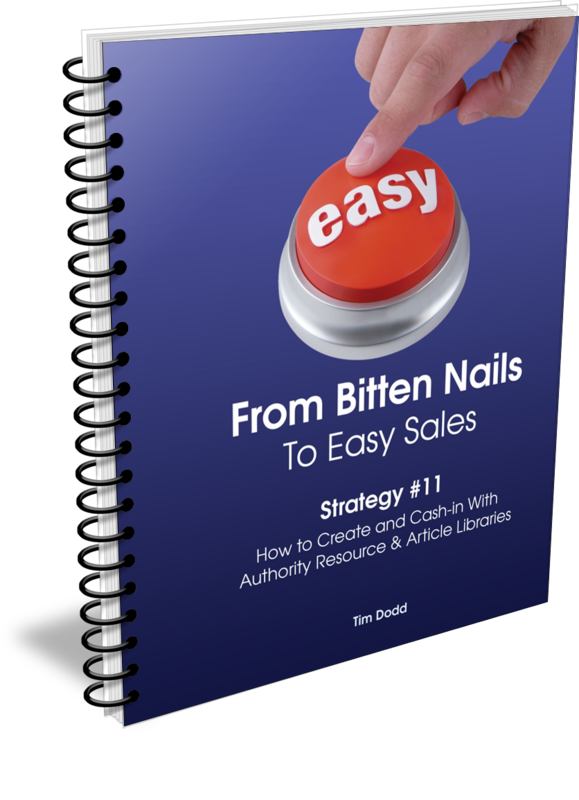 You now have instant access to our "Create and Cash In With Authority Resource & Article Libraries" Notes. Although relatively short, these notes walk you through the steps you'll need to consider when building up your own, invaluable, Authority Resource & Article Library that ideal clients will soon be searching out. The sooner you read and implement this incredible strategy, the faster you'll attract a flood of eager, hot prospects in search of your expertise.